Again, let’s look at the high-priced consultant. The consultant’s confidence attracts the client. They build an easy rapport together. Funny enough, the high consulting fees give the client greater conviction to hire the consultant. The logic is easy: she must be good if she can charge $10,000 a day. And because the client paid so much, they are more likely to value and implement the consultant’s advice. It’s natural to think that confidence comes from our educational qualifications, our experience, and our expertise. It does. But only to an extent. Those with qualifications still need confidence. Sean wrote a brilliant PhD dissertation, it was ground-breaking. It was the type of work that could easily have been turned into a series of popular business books and workshops. After finishing his studies Sean took a teaching position at a small college and still hopes to publish a book someday. Sean thought advanced degrees would give him the qualifications he needed to have a voice in the world. Yet, that confidence didn’t appear with his PhD. His voice is tied to his confidence, not his education. Those with recognized expertise still need confidence. Anne has 23 years of teaching experience. She won a number of awards for her relational teaching methodology. Some of her colleagues have moved into teacher training positions and even publish books. Though Anne would like to do those things, she questions if anyone would be interested in what she has to say. Anne has recognized expertise. Yet, the most important person doesn’t recognize her expertise. That person is Anne. She doesn’t believe she has expertise that others need from her. She lacks confidence. External confidence builders didn’t help Sean and Anne. Something else was going on. Confidence is internal. It’s what you believe about yourself. It’s not ego, it’s acknowledging who you are, what you can do, and what you have to say. For many of us, this is difficult. Since confidence is internal, the way to gain confidence is by changing your mindset – how you think about yourself. This isn’t always easy and may take some coaching. Examine your beliefs about yourself. Chances are you have a few false beliefs about yourself and the contribution you can make. In your mind you have scripts that say, “Because I’m (fill in the blank), I can’t .” Challenge these beliefs. Spend time with people who encourage you. Limit the negative voices you allow in your life. Spend time with people who will encourage you to be who you are and who you are becoming. View your potential, not just where you are now. This is where faith comes in. We need to see what could be, not just what is. This is crucial for casting vision, develop yourself and other, and leading. Be willing to fail. Confidence means trying when there’s a chance that you won’t succeed. We can reduce the risk of failure, but we can’t eliminate it. Be willing to be rejected. 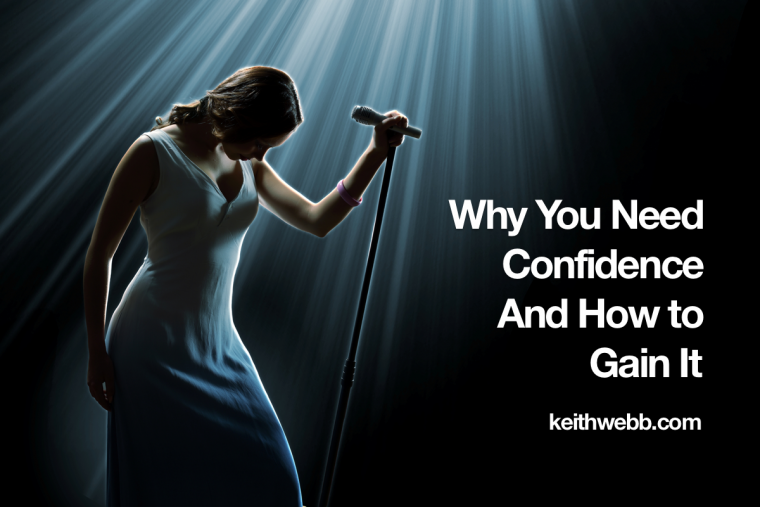 Confidence means putting yourself out there in front of people. What if they laugh? Or criticize? Some might. But what if others are inspired and make far-reaching life changes because of your message? Some people are afraid that if they are confident they will appear arrogant to others. Confidence comes from having realistic view of yourself. We shouldn’t think too much, nor too little of ourselves or our contribution. It takes confidence to live out your potential. We have to believe in ourselves, step out, and do what we are called to do. And when we deliver, we prove our confidence was well placed.